There are some Japanese traditional displaying styles of bonsai. If you visit any bonsai exhibitions, you would see some of them. Tokokazari, displaying in the Japanese alcove 'Tokonoma' is a well-known style. 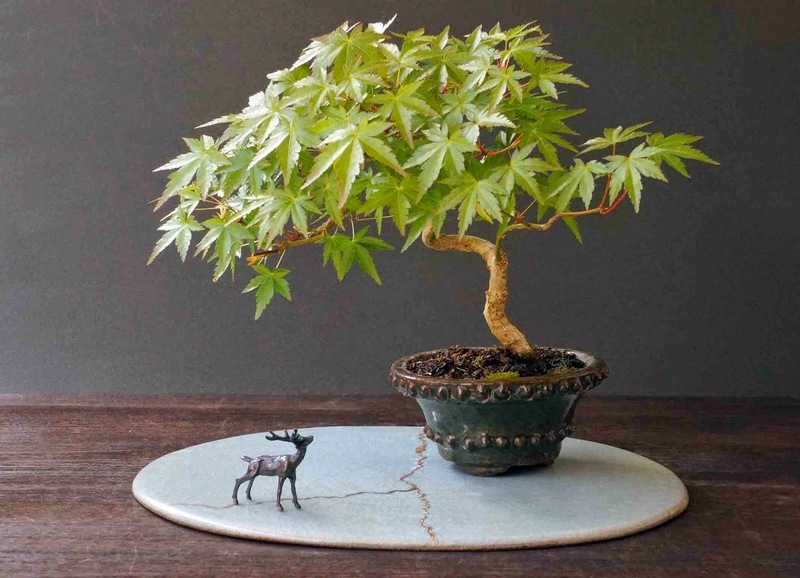 It is created with a main bonsai, an accent bonsai and a scroll. 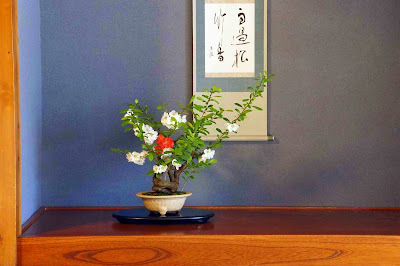 A small desk or a wooded plate is placed under the bonsai. The aim of Tokokazari is to present the magnificent scenery with two or three (a main bonsai, an accent bonsai and a scroll) in Tokonoma. The other displaying style is called Sekikazari. 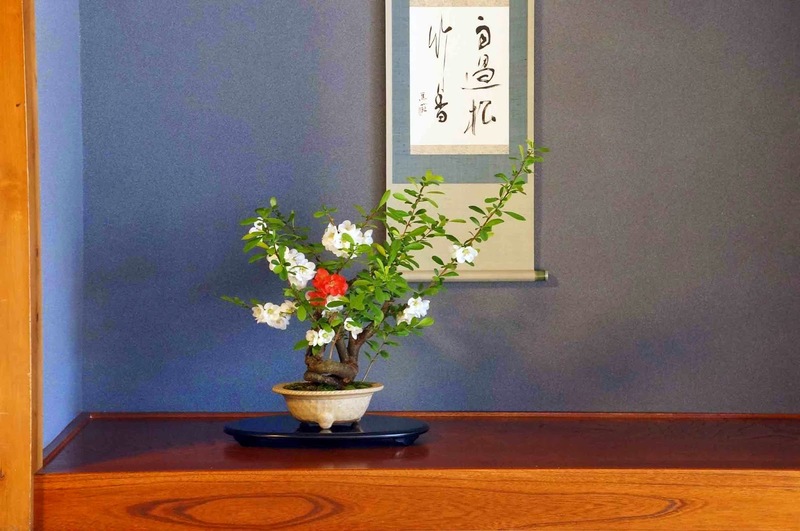 It is created with a main and accent bonsai, a carpet and a screen in the Japanese-style room. Tanakazari is for the Shohin-bonsai that is less than 20cm in height from the bottom of the pot to the top of the plant. Tanakazari is created with five different materials including bonsai and a small displaying shelf. Though generally they are called 'traditional displaying-style,' according to some documents it was Meiji era, they were established as the decoration way of bonsai. Nowadays the house with tokonoma as well as the Japanese-style rooms are on the decrease in Japan. I think now is the time that we should create some new displaying or appreciating style of bonsai. I expect overseas bonsai enthusiasts to find something their own authentic and unique styles, but it seems that they admire Tokokazari much more than Japanese people in general. This is what I displayed with a maple, dear and the Kintsugi plate I did.